Generally defined, emotional resilience (ER) is the psychological ability to adapt to the significant challenges, misfortunes and major set-backs that life throws our way while being able to maintain or return to a positive view of oneself during and after such turmoil. I’ve come to believe that fostering our emotional resilience is important for everyone, but becomes absolutely essential to those living overseas. For the most part, gone are the languid, slow-paced days of the expatriate life of the past. Life today in this globally interconnected, cross-cultural world is fast, frenetic and highly mobile. More and more, people choose to head overseas for employment, experience, education, better standard of living, adventure and wanderlust. Sometimes the choice is made for them, as in the case of economic downturn, corporate restructuring, downsizing and organizational reassignment. To better understand how emotional resilience can help expats, I think it’s helpful to discuss the possible risks we face if lacking in this crucial area. Our sense of identity is critical to our mental and emotional health. When the way we see ourselves is in alignment with how others see us, we’re said to have congruence in our identity development. The high-mobility aspect of expat life means we may feel as though we’re always leaving or arriving in a continual loop of transition from one country/culture to the next; during these transitions we encounter the confusion of leaving one environment and then plunging into a different one with the increased likelihood that our identity is out of sync. The cross-cultural feature of expat life also impacts our sense of self, continually challenging us to find our way, fit in and adapt to new people and surroundings. Without a clear sense of integrated identity, of who we are as we continually move from place to place, we may find ourselves suffering from identity incongruence. Without sufficient emotional resilience, we find it hard to navigate our way through the transition phases inherent in the expat experience (involvement in the old culture, leaving, transition, entry and re-involvement in the new culture) with our identity congruence intact. Virtually everyone feels some level of grief and sense of loss during the leaving, transition and entry phases. What is important for each of us is how deeply we feel these emotions and to what extent these phases last. As we move through these transitional phases, we tend to go through the Kübler-Ross emotional change model of denial, anger/frustration, bartering, depression and acceptance. In dealing with transitional challenges, we struggle with emotional fallout from the continual disruption and ending of relationships and connections as we find ourselves on the move. The comings and goings of expat life lend themselves to unresolved feelings of loss and grief as we leave behind people, places and memories that matter. If we don’t acknowledge and incorporate these feelings as we mourn our losses, our identity development and congruence may be affected and we may not be able to move on to the acceptance stage of the change model. We risk becoming stuck in this painful limbo of unresolved grief. In order to be emotionally resilient, we draw upon our emotional intelligence: self awareness of what we’re feeling and why, and being able to manage our emotions appropriately. Part of how we feel about ourselves is a function of our social intelligence (i.e., how we relate to and deal with others, and in turn how they relate to and interact with us). When we are lacking in emotional and/or social intelligence, or these skills are stymied by the shift in cultural environments, we can find ourselves out of sorts, in a sort of confusing, situational free fall. While most of us do integrate ourselves into the new culture thereby reaching the re-involvement phase, it can sometimes come at great emotional expense. If we don’t reach the acceptance stage of our own personal change model experience, we become trapped in the expat entry phase and cannot reach the re-involvement phase where we begin to feel settled and a sense of belonging. We risk feeling alienated, helpless, lost, that we don’t belong. When exposed to both the constant change and cross-cultural aspects of expat life, we risk not effectively engaging others as we transit from place to place. If we haven’t let those we knew and connected with previously that we cared about them, or didn’t let them tell us how they felt about us, we risk feeling as though they never really cared. We find it harder to connect with those we interact with in our new environment, and start to withdraw. We protect ourselves, disengaging while keeping others at an emotional distance. We risk becoming merely ‘ships passing in the night’; we risk keeping our relationships superficial and not allowing others to get close enough to know the ‘real’ us. For an expat, emotional resilience may be tested in the form of facing a sudden job transfer due to political upheaval or economic downturn; in handling the transition into a new language and culture that may differ vastly from one’s own; or in dealing with a medical crisis involving themselves or their loved ones while overseas. If we are already carrying with us feelings of unresolved grief and loss, we may find ourselves emotionally overwhelmed and stuck in the depression stage of the change model. Lacking sufficient reserves of emotional resilience when faced with these additional challenging events, we risk not acknowledging our feelings and being unable to work our way through them. We may unnecessarily view ourselves as weak, and berate ourselves for not dealing well under such trying circumstances. Overwhelmed and sinking further into depression, we find it difficult to find meaning and a sense of accomplishment in daily life. When we are in pain, we tend to try to ignore or tamp down those painful and negative emotions in whatever manner works. This ignores our human need for resolution and closure, and sets us up for repeating similar negative behaviors in the days, months and even years ahead. When we are unhappy, grieving and/or depressed, we risk employing negative tactics (withdrawal, avoidance, denial), unhealthy crutches (alcohol, prescription or non-prescription drugs, food) or acting out with other inappropriate behaviors (sexual promiscuity, screaming, physical or emotional abuse).We seem to lose the critical ability to identify subtle differences among the emotions we may be feeling and to properly label them (and if need be, to help family members to do so as well) to deal with those emotions, to choose our actions wisely, and to interact with others in a healthy manner. Expat life offers wonderful opportunities to explore and experience the enchanting excitement of a culturally diverse world, yet it is not without challenges. If we find ourselves, a family member or friend getting bogged down in a sense of overwhelming sadness, helplessness or depression that keeps us (or them) from taking action, we owe it to ourselves and to them to consider seeking help, particularly from a psychologist or therapist familiar with expat issues. Linda A. Janssen is an American expat with an M.P.I.A and more than 20 years experience working in the international arena. She writes primarily on expat and cross-cultural issues. 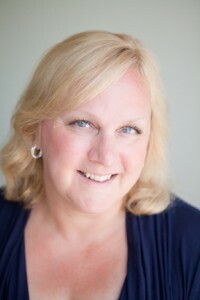 She is working on a book on Emotional Resilience in Expat Life and blogs at www.adventuresinexpatland.com. Linda currently lives in The Netherlands. I look forward to the day I can move to Antalya, Turkey. I have no life here and I know I can have a life there. All my research interests and education can finish in Turkey.